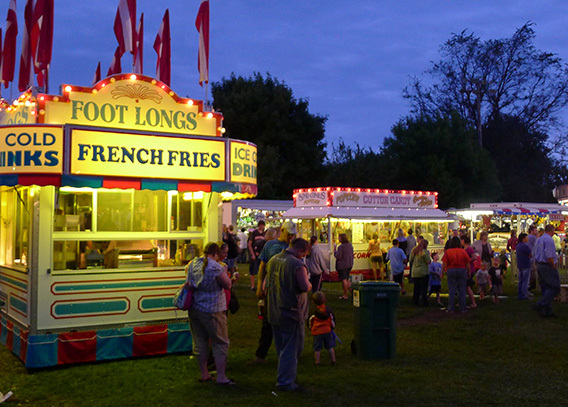 The policy of the Cokato Corn Carnival is that only local non-profit or charitable groups are allowed to rent space in the park for vending purposes. The city of Cokato does not allow vendors to set up on any city street adjacent to or near the carnival. All contracted vendors must possess proof of non-profit or charity status and have a valid insurance certificate. Stands serving food must pass all requisite health and safety inspections and pay an electrical inspection fee. Due to limited space in the park, there are NO OPENINGS for additional vending spots at this time. Questions? Click here to contact the Cokato Corn Carnival.